👍 Drop a Like for more content! BioShock 2 is a FPS video game developed by 2K Marin and published by 2K Games. 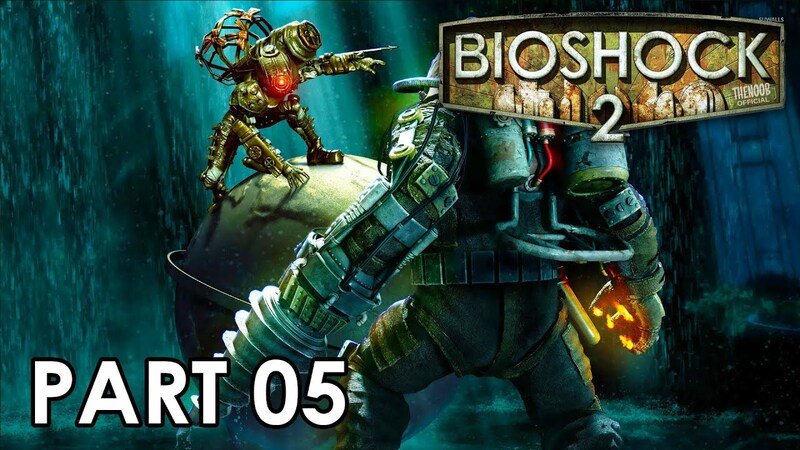 A part of the Bioshock series, it is the sequel to the 2007 video game BioShock and was released worldwide for Microsoft Windows, the PlayStation 3, and the Xbox 360 on February 9, 2010. Feral Interactive released an OS X version of the game on March 30, 2012. Set in the fictional underwater dystopian city of Rapture, the game’s story takes place eight years after BioShock. Assuming control of Subject Delta, a hulking Big Daddy, players are tasked with fighting through “splicers”, the psychotic human population of the city, using weapons and an array of genetic modifications. The game also introduces a story-driven multiplayer mode called Fall of Rapture, which takes place during Rapture’s 1959, before the events of the first game. BioShock 2 was mainly developed by 2K Marin, with 2K Australia, Arkane Studios, and Digital Extremes providing additional support. 2K Boston, formerly Irrational Games, also assisted the game’s development, with series creator Ken Levine providing input. The story received major changes over the course of development. Garry Schyman, the composer of the first game, returned to create the score for BioShock 2. The game received critical acclaim upon release, with praise particularly directed at the game’s narrative, art-style, characters, ending and gameplay. However, the game attracted criticism for having a slow start and being too similar to its predecessor. The game was supported with downloadable content upon launch, and a new single-player campaign, titled Minerva’s Den, was released in August 2010. The game sold more than 3 million copies, but did not meet Take-Two Interactive’s sales expectations. A remastered version of the game was released on Microsoft Windows, PlayStation 4 and Xbox One on September 13, 2016, as part of BioShock: The Collection. Thank you so much for watching my video, I really hope you enjoyed it.